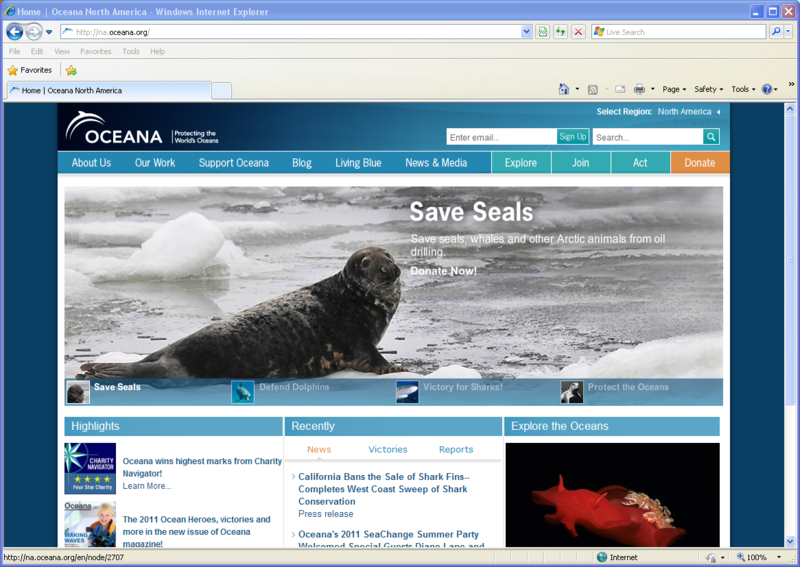 Site Name and Description: Oceana is an international organization that works to protect the world’s oceans. The site contains “victories” (their term), information, ways to donate and become involved. Formed by a group of leading foundations in 2001, this environmental organization has bases in North, Central, South America and Europe. 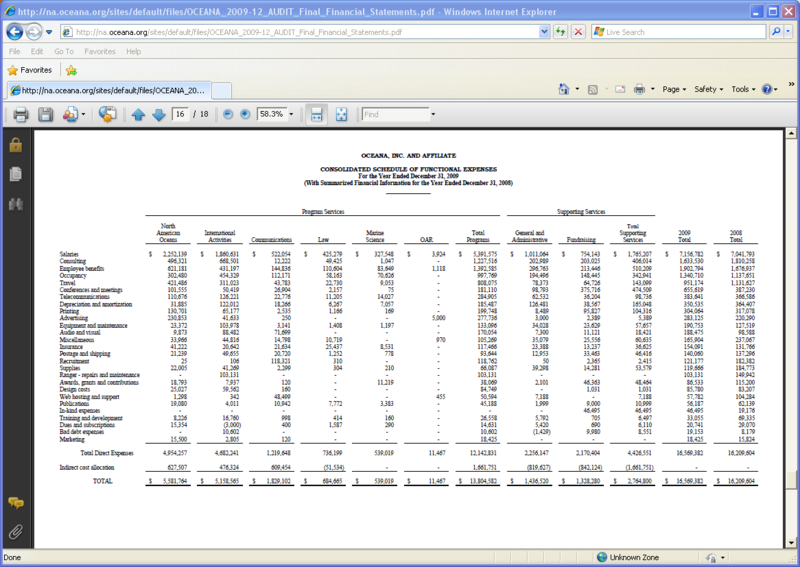 The website is used to support this work. While the organization works in different regions, I can only find English language as an option for the website, making it less accessible to potential audiences. Design Overview: The design relies heavily on the color blue, a color most people associate with water. Navigation is easy with headings to clearly identify the important areas of the site. Marine wildlife is featured in large photos on the homepage. Audience: The audience includes environmental activists, particularly those interested in oceans, from their mid 20s to late 40s. Social media integration: The site has a contact us page for site visitors with questions. Additionally social media information is listed on the bottom of the home page and on the sidebar of the blog.